Kōzan-ji is an important historical temple located on the hillside of Mount Toganoo-san (栂尾山), approximately 7 km north of the Arashiyama district. 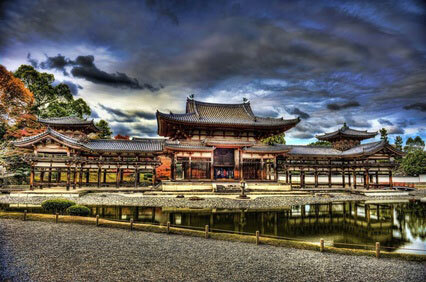 It is one of the 13 Buddhist temples in Kyōto listed on the UNESCO World Heritage list. The temple is famous for having the oldest tea garden in Japan, and for its 12th-century Chōjū-giga (鳥獣戯画) picture scrolls, regarded as Japan's first manga. 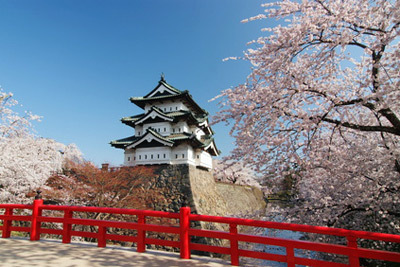 According to tradition, the temple is said to have been established by the imperial orders of Emperor Kōnin in 774. It was then called Shingan-ji Togaobo. The early history is unclear though. What is certain is that in 1206 the Buddhist monk Myōe (1173-1232), who was serving at adjacent Jingo-ji, restored the dilapidated temple. Myōe opened a training hall with aim to revive the Kegon school of Buddhism, following orders by the retired Emperor Go-Toba. 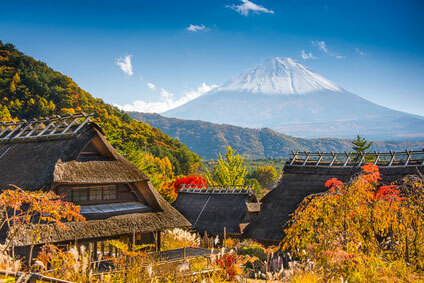 He renamed it Kōzan-ji, or to be more accurate Hide-temazu-Kōzan-wo-terasu-yama-no-tera (日出先照高山之寺), meaning "When the sun appears, it first casts its light upon the highest mountain". This protracted appellation comes from the Avatamsaka Sutra (or "Flower Garland Sutra"), the foundation belief of the Kegon sect. Myōe had been ordained by both the Kegon and Shingon schools of Buddhism, and so the temple became affiliated with both schools, although Shingon prevailed over time. Myōe received seeds of tea plant that Eisai, the founder of Rinzai Zen, had brought back from China. 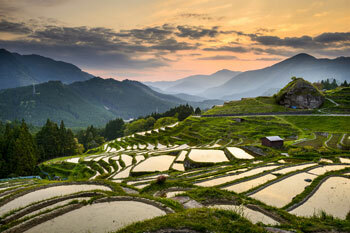 He planted them on the temple's ground, creating Japan's first tea plantation. Little did the priest know that he would be literally sowing the seeding of a major societal change, launching the diffusion of tea cultivation throughout the country. The event is still remembered today by tea producers from Uji (where Japan's finest green tea is grown) on 8th November, when leaves from the latest tea harvest are offered at Myōe's Jōninbyō mausoleum (上人御廟). The high priest Toba Sōjō (1053-1140), a member of the Minamoto clan, is credited for drawing the four picture scrolls of animal and human caricatures known as Chōjū-jinbutsu-giga. 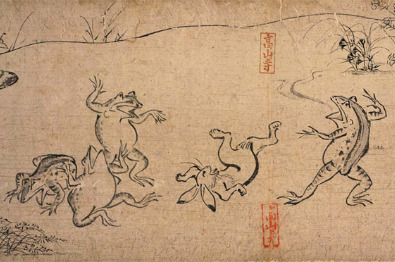 They are sometimes referred to "Scrolls of Frolicking Animals and Humans" in English. The animals are depicted with anthropomorphic qualities. They are seen bathing, carrying objects or participating to ceremonies. In the 13th century, the temple complex contained an usual thirteen-storied pagoda, which has since disappeared. Fires and wars didn't spare the temple, and nowadays the Sekisui-in Hall is the only surving structure from Myōe's time. Kōzan-ji fell into decline during the 15th and 16th century. 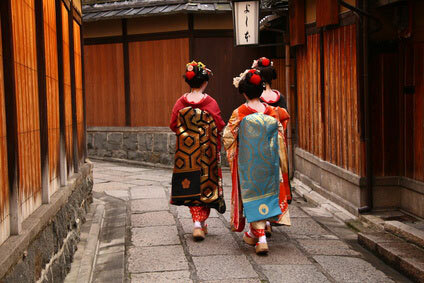 In the early Edo period it had reached an advanced state of degradation, and was extensively renovated in 1634. The temple's focal point is the 700-year-old Sekisui-in Hall (石水院 ; lit. "Stone & Water Hall"), the former residence of Myōe. Here you can marvel at the artistic excellence and at the astonishing expressiveness of the famous Chōjū-giga caricatures. These are only replicas. 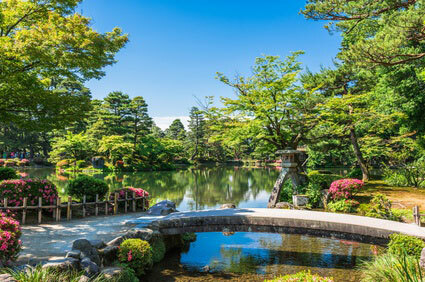 The original scrolls have been entrusted to the Kyoto National Museum and Tokyo National Museum. 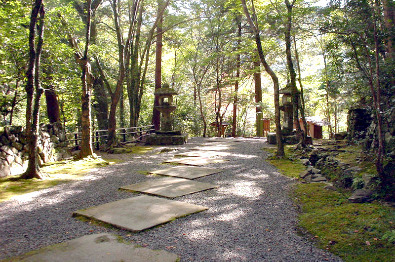 A stone monument marks the place of Myōe's tea garden next to the Sekisui-in. Kōzan-ji possesses an abundance of valuable objects and structures, including 10,000 Important Cultural Assets and eight National Treasures. Among the National Treasures are of course the Chōjū-jinbutsu-giga, but quite a few other interesting documents. For example, the Yupian (玉篇) is the oldest Chinese character dictionary in Japan. Rich of 51,129 words, it was edited in China in 543, during the Liang Dynasty. 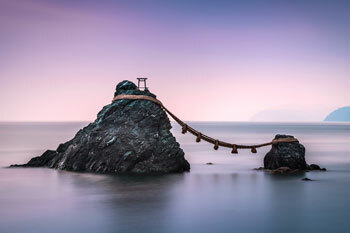 An original copy was brought back to Japan in 806 by Kūkai (Kōbō Daishi), the founder of Shingon Buddhism. 24 years later, he modified it into his Tenrei Banshō Meigi, which is the oldest Japanese dictionary in existence. Another National Treasure is the potrait of Myōe seated in Zazen meditation on a tree (樹上座禅像 ; Myōe Shōnin Jujō Zazen-zō) housed in the Kaisan-dō Hall. The Kon-dō (main hall) was moved from Ninna-ji in 1634. It occupies the highest grounds on the temple premises, about 100m above the temple's entrance. Kōzanji is open daily from 9:00 am to 5:00 pm. Admission to the temple precincts is free, except during the autumn leaves season (￥400). Entry to the Sekisui-in Hall costs ￥600. There is no train/metro station near Mount Toganoo. The only way to get to Kōzan-ji by public transport is by bus. JR Bus Takao-Keihoku (高雄・京北) line makes the journey in 45 min from Kyoto Station (￥500). Alight at the Toganoo (栂ノ尾) stop, from where it is a 10-min walk to the temple. There are about 3 buses per hour in the morning (from 6:50 am) and 2 per hour in the afternoon. You can also catch the bus at Shijō-Ōmiya and Ryōan-ji-mae. If you are already in the Arashiyama district, you can ride the Arashiyama-Takao Parkway Bus (嵐山・高雄パークウェイバス). 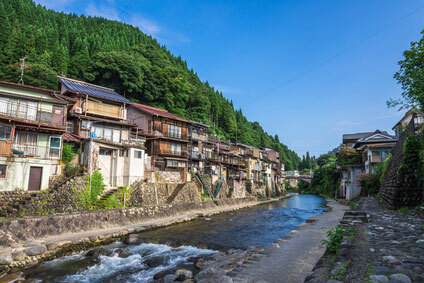 It takes 35-40 min from Keifuku or Hankyū Arashiyama Station (￥680). Get off at the terminus, Nishiyama-Takao. There are buses every 30 minutes from 9:30 am to 12:30 pm (+ 5:00 pm and 6:00 pm) on the way up, and from 10:15 am to 4:00 pm (+ 7:00 pm and 8:00 pm) on the way back to Arashiyama.